Lying 7 miles to the south-east of Manchester, Stockport was once famed for its cotton and hatting industries and is probably most easily recognised by its dominating viaduct, which links Manchester to Birmingham by rail and which has featured in several LS Lowry paintings. Now, Stockport has recently seen the benefit of considerable investment in a regeneration project called Future Stockport, which aims to bring more jobs and residents to the area. Visitors and residents alike will benefit from the improved retail and entertainment facilities as well as from long-standing attractions such as the Historic Quarter, Hat Works and the Air Raid Shelters. Future Stockport will target improvements in traffic flow and the bus station, and build offices, public spaces and facilities such as those at the Redrock entertainment complex. We have three secure self storage facilities in Stockport. Safestore Stockport Central is convenient for those searching for self storage or offices to let in the Cheadle Heath, Edgeley, Adswood and Heaviley areas; Stockport Bryant is between Stockport and Heaton Chapel railway stations and handy for Levenshulme, Rusholme, Heaton Norris and Heaton Moore. Nearby Safestore Stockport Reddish is handy for self storage or office space near Denton, Hyde and Ashton-under-Lyne. All of our Stockport stores have 24-hour access available and units in a wide range of sizes on flexible terms. Call your most convenient Stockport store direct to speak to our friendly team of advisors or book online - there’s no deposit to pay and no hidden charges. Get a storage quote today and reserve a Stockport storage unit for free. We won't ask for a security deposit either. Get 20% off if you need self storage for longer than 12 months. Available at all Stockport Safestore centres. Terms apply. Stockport is a large town in Greater Manchester 7 miles south-east of Manchester city centre. As well as being close to a major city, Stockport also has access to spectacular British countryside as parts of the Peak District National Park are just over half an hour away. This makes Stockport an appealing option for renters who want the best of both worlds, so if you're moving home or just need more space for your things we can help with storage space. We know that storing your belongings can be stressful, which is why we have a helpful team of advisers ready to help you at every stage. From packing materials for sale to advising on the best way to stack your room, there is nothing that we can’t help you with. Our services include a wide range of packing materials and transport options for those without a suitable vehicle.Whether you need help with directions or you’d like a quote, get in contact with our friendly team today to discuss how we can help you. Stockport is a town and metropolitan borough of Greater Manchester. Since the start of the 20th century, Stockport has moved away from being a town dependent on cotton. Its heritage attractions include a national museum for hatmaking. Many ex-industrial areas around the town including former mill buildings, are being brought back into productive use as mixed-use residential and commercial developments. 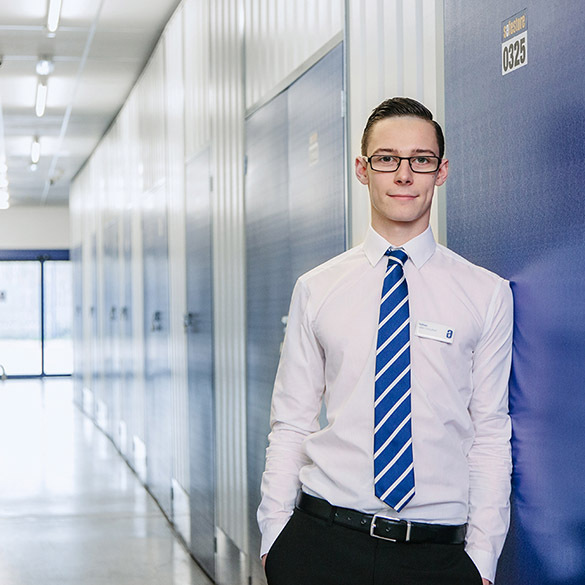 If you’re in Stockport and looking for extra storage space, Safestore are very flexible and offer storage solutions tailored especially to your needs, so whether you need a large room for a year or a small locker for a week, we can help. So if you're looking for storage in the Stockport area, then look no further. Our team of friendly advisers are ready and waiting to discuss your requirements. Whether you need household, business or student storage, give us a call today for a quote. Stockport is renowned for being a friendly place and our professional advisors in store and on the phone embody just that. Stockport advisors are experts in their field and can help you every step of the way through your storage journey. Safestores, in Stockport and beyond, are proud to have been awarded a ‘Gold Trusted Merchant’ award in 2014, 2015 and 2016 by Feefo (an independant customer tracking system for businesses), commending our ability and commitment to making customers happy.